The UNESCO Mahatma Gandhi Institute of Education for Peace and Sustainable Development (MGIEP), headquartered in New Delhi, India, is the UNESCO’s Research Institute that focuses on education for building peaceful and sustainable societies across the world. In line with its vision of Transforming Education for Humanity, the Institute employs the whole-brain approach to education, with programs that are designed to mainstream Socio-Emotional Learning in education systems, innovate digital pedagogies and put youth as global citizens at the center of the 2030 Agenda for Sustainable Development. UNESCO MGIEP, through its Games for Learning project, seeks to embed core values of empathy and critical thinking in formal and informal learning spaces. The Institute promotes game-based learning as a form that can be especially appealing and simultaneously educational for youth. UNESCO MGIEP is collaborating with the Government of India, to establish the country’s first Games & Digital Learning Hub. The Hub is envisioned to be a research and design laboratory for cutting-edge digital pedagogies and 21st century skills. It is proposed as a place where multiple stakeholders i.e. policy makers, knowledge & research partners, educators, learning science specialists, psychologists, technology providers, financial investors, established and start-up companies come together to work towards rolling out digital products for learning that build critical inquiry, cognitive skills, and social-emotional skills. 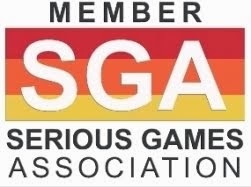 The Hub will offer products and services like educational video games, 3D content, AR, VR, MR modules aligned to curricula, cloud-based content for education, learning management systems, data-driven/AI analytics driven intelligent digital assessments, UX/UI, content delivery networks for resource constrained areas, and interactive multimodal textbooks. Building on the success of TECH 2017, UNESCO MGIEP international conference will be held annually for the next four years to delve into the role of games and digital learning technologies in enabling a shift from “transmissive pedagogies” to “transformative pedagogies” to create more peaceful and sustainable societies. TECH 2018 aims at drawing a blueprint for harnessing pedagogical possibilities opened up by digital technologies, in order to contribute to enabling a revolutionary shift in education from individual content acquisition to collaborative intelligence. 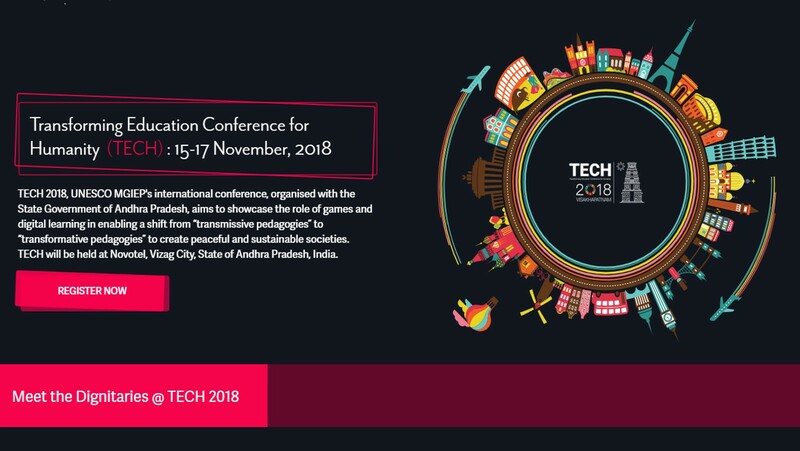 TECH 2018 will be held 15-17 November, 2018 at Novotel, Vizag City, State of Andhra Pradesh, India. 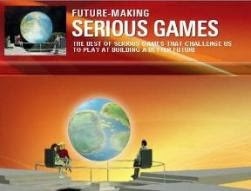 Please find more at Gaming Is The Futuristic Way Of Teaching and UNESCO MGIEP website.